In this video, Chris Ruhlig, Director of Channel Accounts at RingLead, will spend a bit of time showing you how easy it actually is for you to refer a deal over to RingLead, as well as track the deal throughout the entire sales cycle. Chris will continue to discuss the partner program, but this time will show you the process of actually registering a deal so you can track what deals you have in the pipeline, what deals have been approved versus rejected as deal registrations, and which will qualify for your team to be commissioned on along with those $50 E-gift cards. Once you log onto the partner portal, you’ll see the top of the screen the exact same way you did in the first video. But, if you scroll down to the bottom section, you’ll see an entire company overview of your account, what deals you’ve submitted, what deals have been approved versus rejected, how many have been quoted, what is the dollar value of those quoted opportunities. Really, it’s as simple as clicking the Submit A Deal button on this page. After you go through this page, you’ll be able to fill in all the different sections that are required for you to fill in. Once the information is filled out, a notification is sent to our sales rep based on territory for them to reach out to you. Sales reps will either reach out directly, or go ahead and reach out to that potential client based on the notes provided to them. Reps are responsible for scheduling a demonstration for your client and doing everything possible to make sure the deal closes. Then, after your deal is submitted, you’ll be able to check that the deal was submitted in the Submitted Deal Registration section. As you progress down the pipeline, you’ll also be able to check if your deals are approved or rejected, if the demos are completed or awaiting to be completed, if any have moved to a quote. The best part is that it’s all trackable from right within the portal. If you scroll down a bit more that’s where things get really exciting. You’re going to be able to see exactly how many e-gift cards you have received and how much money you have made from those e-gift cards just by simply submitting a deal that has been a quoted opportunity from the RingLead team. If you continue down that page, you’ll be able to see the forecast stage of each of your opportunities in the pipeline so you can really be involved. You’ll see total quoted opportunities, and you’ll see the forecast that our sales team puts on it. If it was just a referral, you’ll be able to see how many are forecasted to close in a given month if they’re above 75%. You’ll be able to see how many actually closed won, and then obviously if some closed lost, you’ll be able to track those as well. You’ll be able to track your entire pipeline from start to close and then get paid on all deals that are closed won. 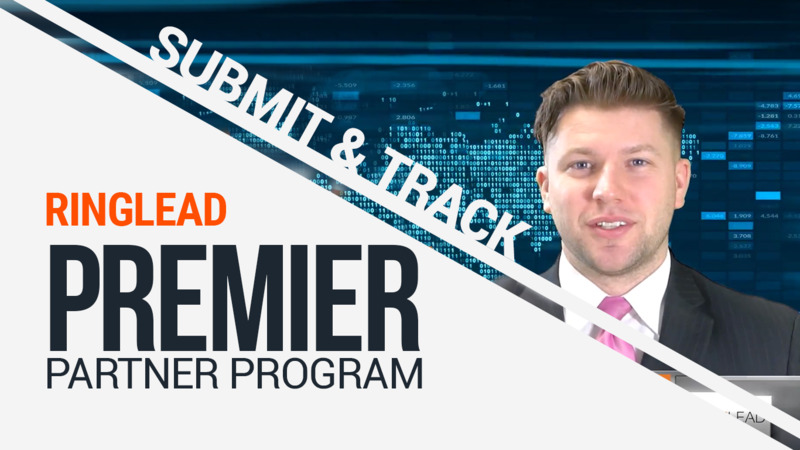 If you are interested in learning more about RingLead’s Premier Partner Program, check out our website to review the different partnership levels and how you can join today!